2019 FORD EXPLORER...XLT PKG...WHITE PLATNIUM EXT...PWR LIFTGATE...REMOTE START...DUAL PWR SEAT...BLIND SPOT MONITOR...TRAILER TOW...20" POLISHED WHEELS...NAVIGATION...HEATED STEERING...FORWARD SENSING...INTERNET BEST BUY! !, NAVIGATION SYSTEM / GPS, *115 POINT SERVICE INSPECTION COMPLETED, CLIMATE PACKAGE, www.KERNSSUPERSTORE.com, REMOTE START, Explorer XLT, 4D Sport Utility, 3.5L V6 Ti-VCT, 2 Driver Configurable 4.2" Color LCD Displays, 20" Polished Aluminum Wheels, 8-Way Power Passenger Seat, Auto-Dimming Rear-View Mirror, BLIS Blind Spot Information System, Driver Connect Package, Dual-Zone Electronic Automatic Temperature Ctrl, Equipment Group 201A, FordPass Connect, LED Fog Lamps, LED Signature Lighting, Power & Heated Glass Sideview Mirrors, Power Liftgate, Radio: AM/FM Stereo w/7 Speakers, Remote Start System, SYNC 3 Communications & Entertainment System, Universal Garage Door Opener (UGDO), Voice-Activated Touchscreen Navigation System, XLT Technology Feature Bundle. 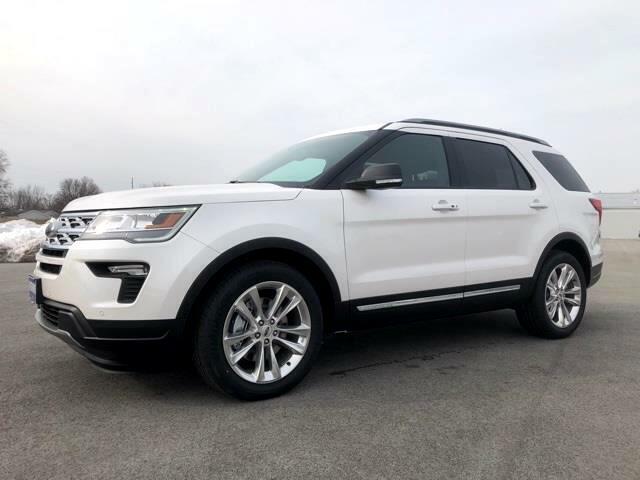 White 2019 Ford Explorer XLT FWD 3.5L V6 Ti-VCT...SOME FORD FINANCING MAY BE NEEDED...REBATES TO DEALER.